• Psychobiological data on 58 violent offenders and impulsive fire setters were analyzed for associations with history of suicide attempts. 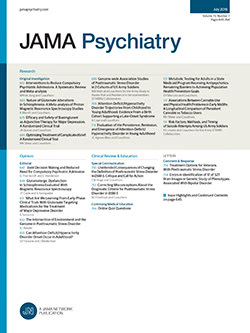 Subjects with a history of suicide attempts serious enough to require an admission to a medical facility had significantly lower mean cerebrospinal fluid 5-hydroxyindoleacetic acid and 3-methoxy-4-hydroxyphenylglycol concentrations than subjects who had not made such attempts. A linear discriminant function analysis based on psychobiological and behavioral variables correctly classified 79% of the subjects according to the suicide attempt history positive and negative outcomes.